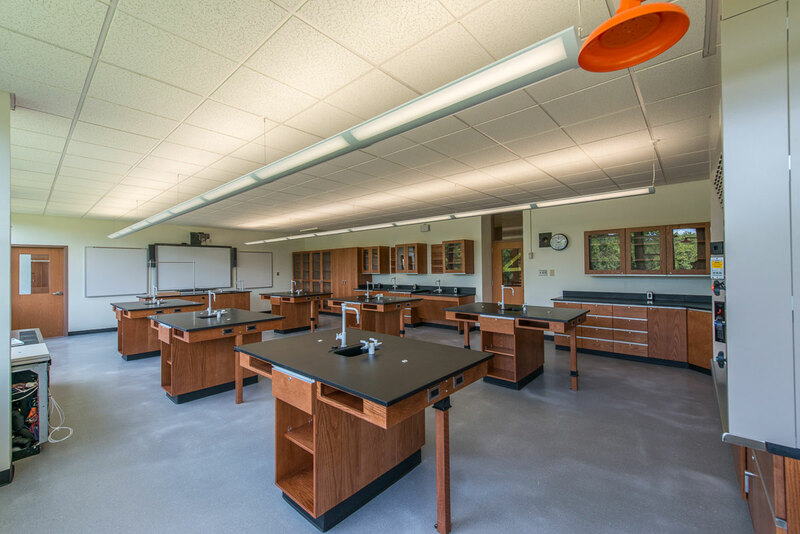 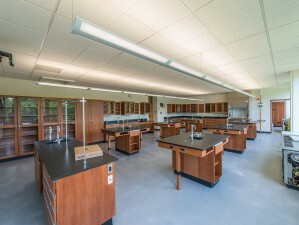 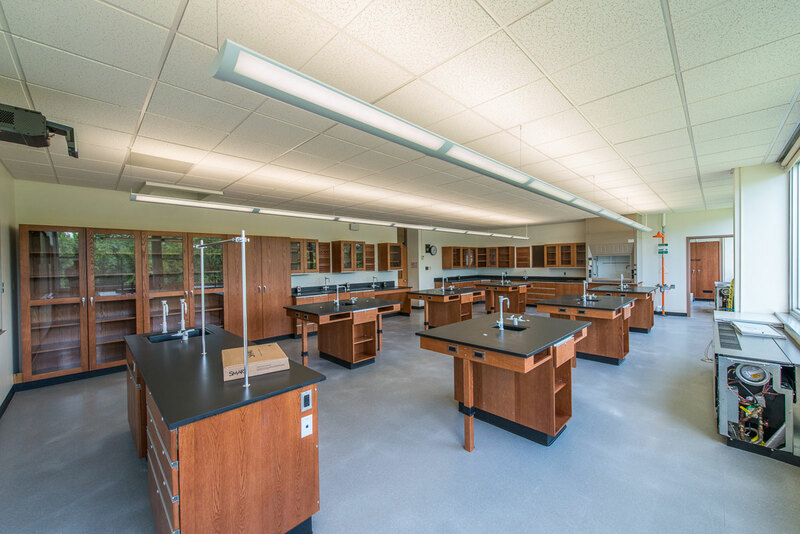 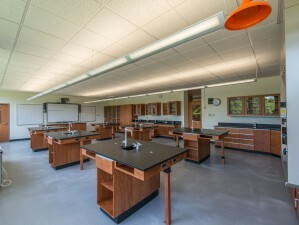 The 27,000 SF renovation provided new science laboratories and classrooms within the existing two story science wing. 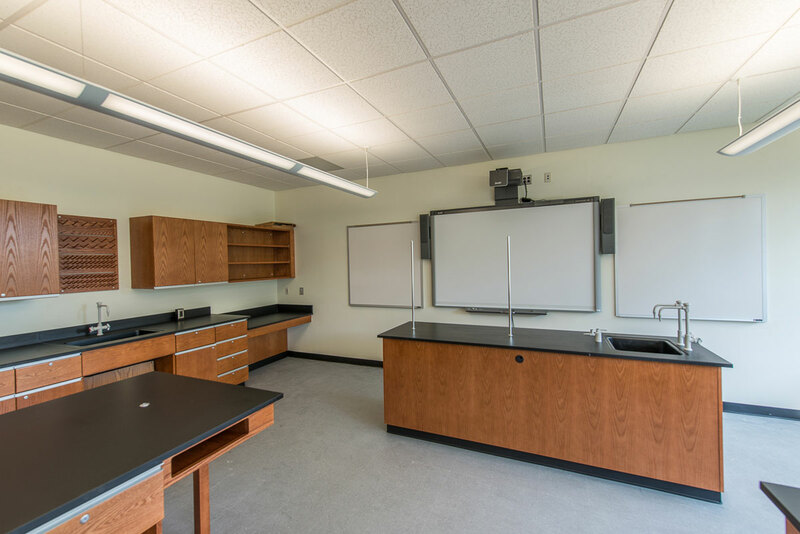 The existing classroom spaces were completely demolished, new ceiling systems, lighting, and new laboratory workstations were provided throughout. 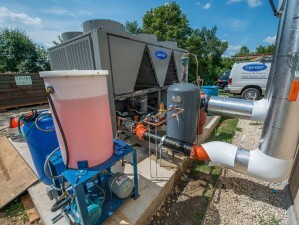 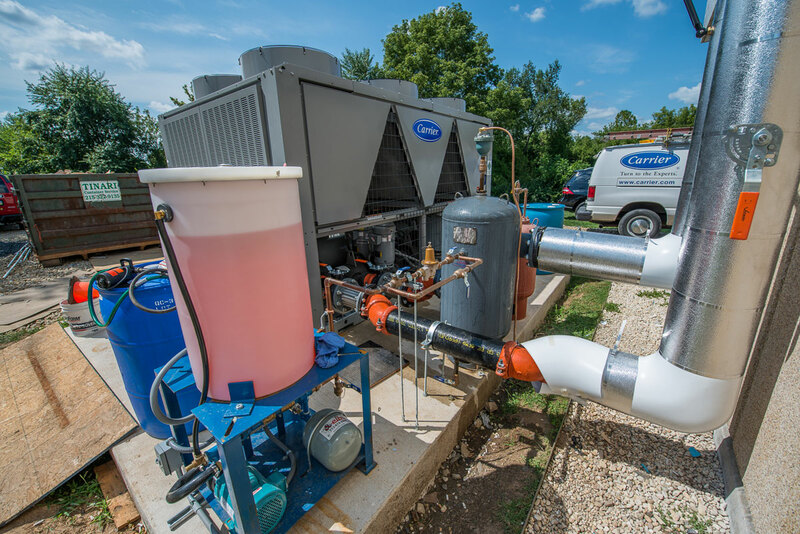 Additionally, a new four pipe chiller system with unit ventilators was installed throughout the wing, providing new air conditions to the wing and replacing the outdated boiler heat system. 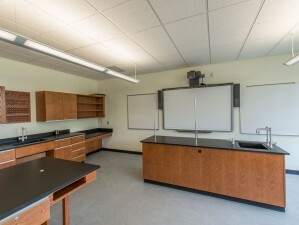 The project was completed over a 10 week period during summer recess, and the required start of school completion date was successfully achieved.